Transcript of a discussion on how Telefonica’s vision for delivering flexible cloud solutions has proven so successful in many Latin American and European markets. Our next optimized cloud design interview explores how a triumvirate of VMware, Hewlett Packard Enterprise (HPE), and Telefonica together bring managed cloud services to a global audience. We’ll learn how Telefonica’s vision for delivering flexible cloud services capabilities to Latin American and European markets has proven so successful. 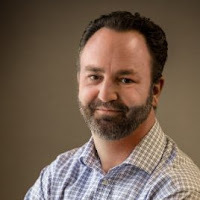 Here to explain how they developed the right recipe for rapid delivery of agile Infrastructure-as-a-Services (IaaS) deployments is Joe Baguley, Vice President and CTO of VMware EMEA. Welcome, Joe. 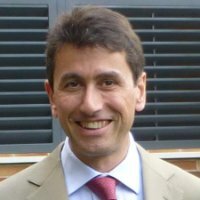 Gardner: Antonio, please describe the unique challenges now facing mobile and telecom operators as they transition to becoming managed service providers. Gardner: How have your cloud services evolved? How have partnerships allowed you to enter new markets to quickly provide services? Oriol Barat: We have had to transition from being a hosting provider with data centers in many countries. Our movement to cloud was a natural evolution of those hosting services. As a telecommunications company (telco), our main business is shared networks, and the network is a shared asset between many customers. So when we thought about the hosting business, we similarly wanted to be able to have shared assets. VMware, with its virtualization technology, came as a natural partner to help us evolve our hosting services. Baguley: We have been on this journey together, as Antonio mentioned, since 2007 -- since before cloud was a thing. We don’t have a test environment that’s as big as Telefonica’s production environment -- and neither does HPE. What we have been doing is working together -- and like any of these journeys, there have been missteps along the way. We stumbled occasionally, but it’s been good to work together as a partnership. The important thing here is by going down this road, people can take some of the fear out of going to the cloud. Baguley: There has been a lot of talk at recent events, like HPE Discover, about intelligent edge developments. We are doing a lot at the edge, too. When you look at telcos, the edge is going to become something quite interesting. Transformative ideas that are now possible due to new application and cloud infrastructures are all coming together. Transcript of a discussion on why Telefonica’s vision for delivering flexible cloud solutions has proven so successful in many Latin American and European markets. Copyright Interarbor Solutions, LLC, 2005-2018. All rights reserved.